Help get your marketing message seen using these calico backsacks that feature a large custom print. 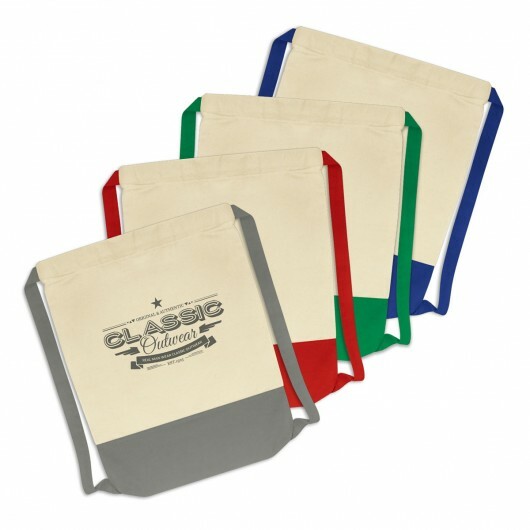 Made from calico material with a two-tone design these backsacks are a great promotional bag that puts your logo in the spotlight. 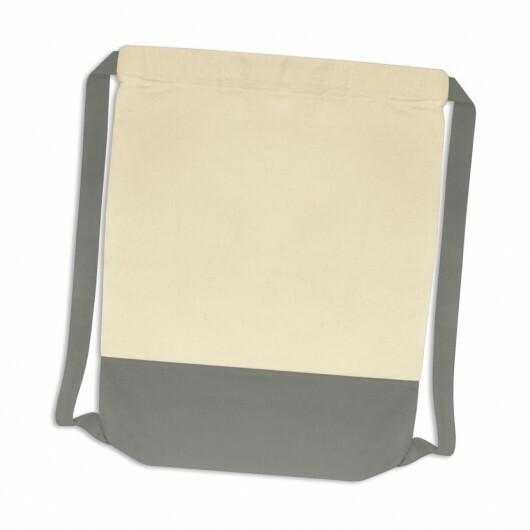 The material is 220gsm unbleached cotton canvas with matching dyed cotton base and drawstrings. Dimensions H 413mm x W 340mm (excludes handles) Handle Length: 470mm.